Same as Philon of Byzantium in 200 B.C. on selecting the Seven Ancient Wonders of the World as a travel guide for fellow Athenians which are all located around the Mediterranean vicinity, Best Spots In The Philippines Founder Clement Dampal II carefully selected and chose the Top Ten Best Nature Spots In the Philippines that ambitiously promotes the country’s natural wonders and invites tourists to visit the country. Known as the Pearl of the Orient Seas, an archipelago of 7,107 islands, the Philippines offers more than 7,107 islands of its natural wonders to its visitors. What’s the buzz about these wonders is that they are creatively designed with awe by the forces of nature and Mother Earth. - One of the New Seven Wonders of Nature, The Puerto Princesa Underground River (PPUR) is indeed one of the most astonishing and amazing cave systems in the world. Located in the Saint Paul Mountain Range about 76 km north of the Puerto Princesa City, Palawan, the PPUR is the Longest Underground River in Asia and the Second Longest Underground River in the World with an 8.2 km long traversable underground river that directly flows to the sea. Also known as St. Paul’s Subterranean River and Puerto Princesa Subterranean River National Park, the PPUR is actually one of the most protected areas of the Philippines. Meanwhile, it features a limestone karst mountain landscape with a full mountain landscape with a full mountain to sea ecosystems and protects a forest which includes major formations of stalactites and stalagmites, and even several large chambers inside the underground river. Just don’t be surprised to see naturally sculpted arrays of stalagmites and stalactites that forms like Pegasus-the winged horse of Hercules, or the Last Supper of Jesus Christ. Not only that, expect to witness the formation of fruits and vegetables inside the cave, religious figures or even the extinct formation of a T-rex. The discovery of 11 minerals, scientifically and aesthetically unique speleothems, and a 20-million year old Serenia fossil permanently embedded in the walls of the cave justifies the declaration of the PPUR as one of the 7 Wonders of Nature. - Formed like a dumb-bell and best known as a vacationer’s paradise, Boracay Island is one of the best beaches in the world and always on the list of the best beach destinations in Asia because of its 4 km long powdered-like white sand beach and the crystal clear turquoise water. Boracay Island has 12 beaches to count. The most famous is the White Beach which most of the Night Life, establishments such as hotels, restaurants, shopping malls, and bars are situated. Bulabog Beach on the other hand is directly opposite and is the secondary water sports beach which mainly protected by a great reef. Aside of its famous white sand, Boracay Island also have one of the best sunsets in the world that will surely inspires you to enjoy life and live to the fullest. That is why it is being tagged as a vacationer’s paradise. By the 1990’s, Boracay’s beaches were being acclaimed as the best in the world. In 2012, the Philippine Department of Tourism reported that Boracay had been named the World’s Second Beach Beach after Providenciales in the Turks and Caicos Islands. Boracay was awarded in the “Travelers’ Choice 2011” by Trip Advisor as the Second Best Beach (out of 25) in the World”. Boracay made a debut appearance in the Top 10 Islands list in the Travel+Leisure travel magazine World’s Best Beach Award 2011, ranking fourth. “It’s Boracay, not Bora!”- The newest campaign of Boracay Island stating that Boracay is different from that of the Bora-bora which is also a white beach on other country. - Best known as the Mayon Volcano, Mount Mayon is an active volcano located in Legaspi City, Albay. It is one of the best nature spot in the Philippines mainly because of its “perfect cone” formation which is almost in symmetric conical shape. Bulkang Mayon (locally coined term) is actually the most active volcano in the Philippines with over 48 times recorded eruptions in the past 400 years. The most destructive eruption of Mayon occurred on February 1, 1814. The Volcano was belching dark ash and eventually bombarding the town with tephra that buried the town of Cagsawa. Today, only the bell tower of the Church of the Cagsawa which was largely destroyed during the 1814 eruption of the said volcano. - Bohol’s signature-attraction, the Chocolate Hills is the jewel of Bohol Tourism and is considered as one of the World’s Famous Natural Wonders. It is called the Chocolate Hills because during the summer, the cone-shaped hills covered with green grass dries up and turns into chocolate-colored hills which is naturally beautiful. According to the Seven Natural Wonders, there are at least 1,260 hills but there may be as many as 1,776 hills spread over an area of more than 50 square kilometers (20 sq. miles). Also known as the “Chocolate Kisses”. - Nominee for the New 7 Wonders of Nature, Tubbataha Reef is a marine sanctuary, an atoll coral reef located in the Sulu Sea which is protected by UNESCO World Heritage Site as Tubbataha Reef Natural Park. 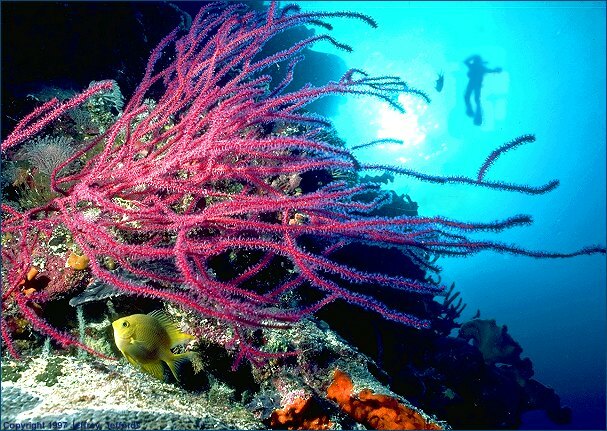 Tubbataha Reef is one of the best nature spots in the Philippines because it houses two atoll coral reef systems. 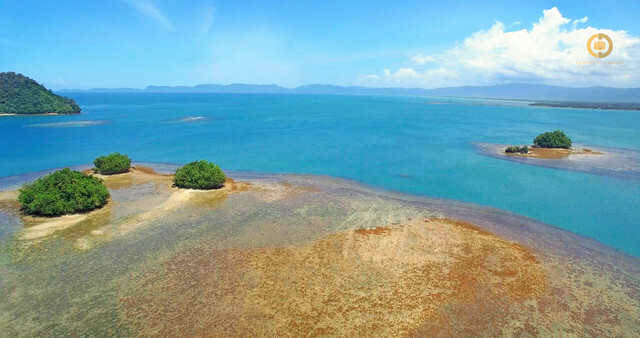 Small coral island is about 3 miles (5 km long) and 3 km wide while the larger coral reef island is approximately 10 miles (16 km) long and 3 miles (5 km) wide. The atolls are actually the sanctuary for more than 1,000 species of coral, fish, and even numerous bird lives. Sadly many are considered as endangered. Aside from being a marine sanctuary, Tubbataha is also renowned for being a bird sanctuary. Around the Tubbataha, there are tens of thousands of masked red-foot bobbles, terns, and frigate birds resting during their annual migration. - Hundred Islands National Park is a group of Islands with 124 islands at low tide and 123 at high tide scattered along the Lingayen Gulf located in the Alaminos City, Pangasinan. It covers an area of 18.44 square km (4,557 acres) and believed to be about 20 million years old. Some of the islands are actually have the peculiar “mushroom”-like shapes. What made it on the list of the best nature spots in the Philippines is that it is wildlife and a home of the following animals. These are monitor lizards, crab-eating macaque, dugong, fraser’s dolphin, common palm civet, laticauda colubrina, olive ridley, green sea turtle, species of red turtle, gecko, various bat species and rodent species. - Where can you find a volcano within a lake within a volcano within a lake within an Island within a sea? The answer is located between the towns of Talisay and San Nicolas in Batangas well known as the Taal Volcano. Taal Volcano is a complex volcano, the Smallest Active Volcano in the World, and part of a chain of volcanoes along the western side of the edge of the island of Luzon, which were formed by the subduction of the Eurasion Plate underneath the Philippine Mobile Belt. It is one of the best nature spots because it offers and provides a picturesque and panoramic view to its tourists. And what’s unique about this nature wonder is that it is a volcano within a lake called the Crater Lake within Volcanoes called Volcano Island and Mt. Macolod surrounded by another lake called the Taal Lake within an Island of Luzon surrounded by the West Philippine Sea. Permanent Settlement in the island is prohibited by the Philippine Institute of Volcanology and Seismology or PHIVOLCS, declaring the whole Volcano Island as a high-risk area and Permanent Danger Zone (PDZ). - The Maria Cristina Falls is the Second Highest Falls in the Philippines with a 320 feet high waterfall which is located in the boundaries of Barangay Maria Cristina, Ditucalan, and Buru-un, Iligan City, 9.3 kilometers away southwest of the city proper. Maria Cristina Falls is sometimes called the “twin falls” as the flow is separated by a rock at the center of the waterfall. 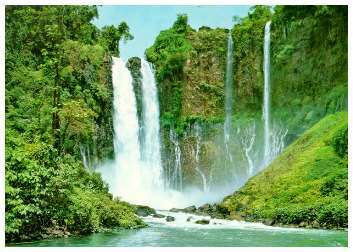 Maria Cristina Falls considered as the most splendid falls among the 23 waterfalls found in Iligan City mainly because it offers an alluring natural beauty and grandeur of Mother Nature. As a matter of fat, is it called as the Mother of Industry and Fountainhead of Progress because it generates 70% of Mindanao’s electricity system. - Mount Apo is best known as the country’s highest peak towering at 2,954 meters (9,672 ft) above sea level located between Davao City, Davao del Sur, and Cotabato Province. 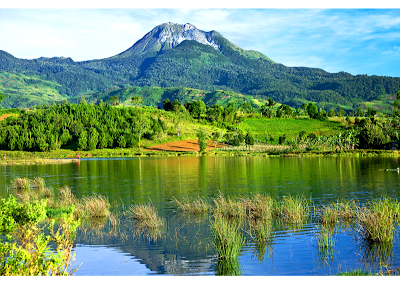 Being the highest mountain and volcano in the country, Mount Apo is also known as the Grandfather of Philippine Mountains. It is also one of the best nature spots because aside of being the most popular climbing destinations in the country and a climber’s dream destination, it also houses the Second World’s Largest Bird and Country’s National Bird called the Philippine Eagle (Pithecophaga Jeffreyi). Not only that, the mountain is also an home to over 272 bird species, 111 of which are endemic to the area, 69 families of amphibians, reptiles and mammals and 118 species of butterflies. Plus the fact that the King of Fruits called the Durian grows abundantly to this area. Mt. Apo possesses a formidable array of landscapes, from craggy rockscapes to virgin forest; from mossy swamps to volcanic structures. The mountain possesses the widest spectrum of environments, and provides an experience for mountaineers that lives up to their expectations from the country’s highest. (wikitravel.org/en/Mount_Apo). - A newly discovered water fall, Asik-asik falls is becoming a new tourist destination in the Philippines. 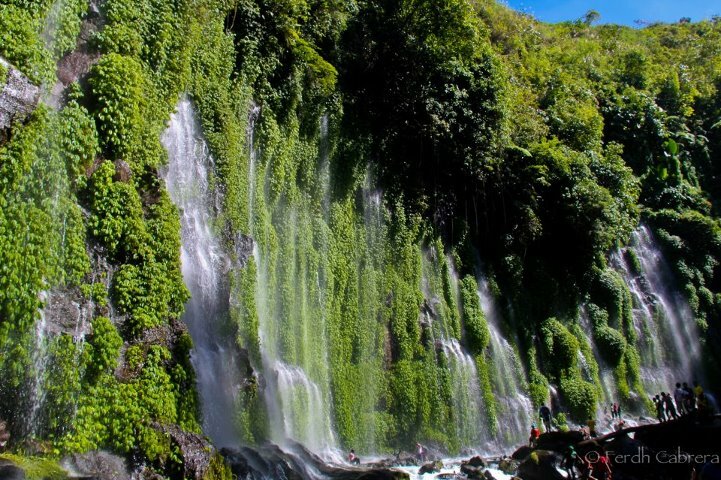 Located in the remote sub-village of Dulao, Barangay Upper Dado, Alamada, North Cotabato, Asik-asik falls is the Only Waterfall Spring in the Philippines. What’s unique and best of this spot is that the water sprouts from the rock on a cliff at the edge of a hill. Thus, the water flows from the wall of the rocks. It has even being tagged by the National Geographic Channel as the "No-River-On-Top Falls" because of this unique formation of the water-spring falls. Indeed, this newly discovered attraction is one of the natural wonders of Mother Nature and one of the best nature spots in the country which possesses pristine and a quaint sight of natural world. There are more nature spots that can be seen and found in the Philippines aside of the above-mentioned destinations. The Top 10 results are based on the author’s point of view of the article’s topic. Hence, it will not reflect directly to other’s perception of the best nature spots in the Philippines. Moreover, the selected natural wonders are being carefully examined, researched, and chosen by the author on his journey on traveling and exploring the best spots in the Philippines. Aside from friendly people, those are really beautiful places to visit in the Philippines. Those are the perfect places to visit and have and charming experience. Thanks for this. what a nice place Maria Cristina Falls! 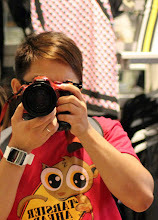 nice to see my photo in your blog! Thank you for visiting my travel blog. I really appreciate a comment from a fellow travel blogger. Meanwhile, may I know what photos are you referring to so I can credit you? nice blog very impressive its my first visit your blog its indeed great. Philippines are trully beautifull country that has a lot of beautifull spots, i was impress on asik asik falls it so amazing. Perhaps, Philippines is one of the best places on earth when it comes to beaches, and other attractions. Indeed, it is more fun in the Philippines. We have to secure that our travel would be the best experience for our family. An experience that we should never forget because it is a family venture. Do everything to make this travel the most exciting journey that we will enjoy. falls thanks for sharing it. Wow! Great. I am really feel very happy to read your thoughts. Thanks for sharing useful information. Really useful and informative post. thanks for sharing such a valuable post. Great list of tourist places in philippines city and its really good to see your blog. Your information about tourism is really interesting. Also I want you to share some updated news about the tourist places and the packages. Can you update in your website? Thanks for sharing this informative article. Philippines is indeed a beautiful country. There could be a million reason to visit Philippines. I really wanted to visit Mount Mayon in Albay. Anyways, if you're going to visit Sri Lanka, I would suggest visiting Udawalawe National Park. You'll definitely love the elephant sightings. Philippines is really amazing but you make me laugh with the Princess Sarah picture but anyway Philippines has a lot to offer specially tourist spots. Well in fact if you happen to visit Philippines, these are famous tourist spots in the Philippines as an additional to your list. Great list. We must expect a lot of tourists this coming year since the Philippines ranked 8th in the best in travel 2015 by Lonely Planet. I have also searched this blog in the internet about Top 10 Tourist Spots in the Philippines. These top ten best nature spots are the pride of the Philippines. It is really good to visit all of those places. Wow, we are definitely putting Chocolate Hills and Maria Cristina Falls on our list! We will probably try to visit them all if we every have time. Great article and we really appreciate you putting it together! Thank you very much!